Despite an eleventh-hour injury sustained by newly crowned World Enduro Super Series champion Billy Bolt, which will prevent the British rider from taking the start of the first round of the 2018/19 FIM SuperEnduro World Championship, Rockstar Energy Husqvarna Factory Racing head into this weekend’s SuperEnduro opener in Poland with a strong two-rider team. Recently crowned AMA Endurocross champion Colton Haaker will compete together with experienced indoor enduro racer Alfredo Gomez. Frustratingly for Bolt an accident during a planned, final training ride resulted in a fractured left Fibula. Hugely disappointed that he won’t be able to carry his World Enduro Super Series winning momentum over into what would be his second season of SuperEnduro competition, Bolt and the Rockstar Energy Husqvarna Factory Racing team are awaiting the results of MRI scans in order to plan Billy’s recovery. It is hoped that Bolt will return to racing in the New Year. Spearheading the Rockstar Energy Husqvarna team in Poland will be Colton Haaker, who claimed the 2018 AMA EnduroCross Championship in early November. Following a challenging SuperEnduro season last winter, by the two-time world champions’ impeccably high standards, Colton Haaker has returned to his winning ways. Firmly putting behind him a run of frustrating injuries, the American is now back to his very best on his Husqvarna FE 350 and aiming to get his challenge for a third SuperEnduro title off to a strong start in Poland. 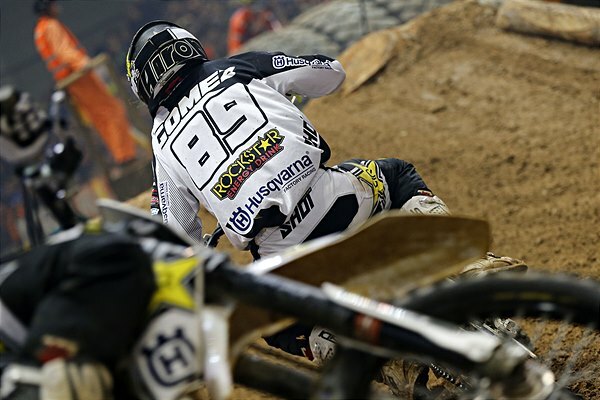 Alfredo Gomez completes Rockstar Energy Husqvarna Factory Racing’s assault on the SuperEnduro World Championship. Competing on the Husqvarna TE 300i, the Spaniard will be one of the lone two-stroke riders lining up behind the gate when racing gets underway. Gomez has a wealth of experience indoors as well as the added advantage of two ‘home’ rounds in Madrid and Bilbao. The Husqvarna rider is focused on becoming a serious contender in this year’s championship chase. The five-round 2018/19 FIM SuperEnduro World Championship begins in Krakow, Poland on December 8, 2018.